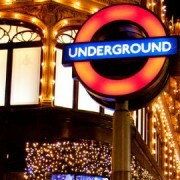 TUBE – Saturday service until 7pm, after which trains run less frequently. Last trains will run at Sunday times. BUSES – Saturday service, but no night buses. Limited service on 931 & 972, but no service on X68. DLR – Special service, starting at Mon to Fri times, finishing at Sunday times. 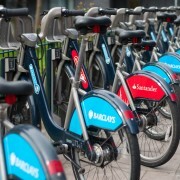 No service between Bank/Tower Gateway and West India Quay/Poplar. OVERGROUND – Monday to Friday service with reduced services from early evening. TRAMLINK – Saturday service in operation. RIVERBOAT – Westminster to Greenwich running normal service. TUBE – No service. All stations closed. Forget about it! BUSES – No day or nighttime buses. However, a few services will operate with special fares. Check with TFL for more information. DLR – No service. All stations closed. 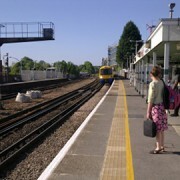 OVERGROUND – No service. All stations closed. RIVERBOAT – No service. But if you’d like to take your beloved(s) on a Christmas lunch cruise, City Cruises are offering such a facility. BLACK CABS – Available, but will include a £4 surcharge. TUBE – Reduced Sunday services on all lines. First trains will run from central London at 8:30am. But that’s too early for all of us, isn’t it? and Lewisham. Bank DLR platforms will be closed. TRAMLINK – Sunday service in operation from 8:30am. RIVERBOAT – No service except Westminster to Greenwich, which will operate a normal service. 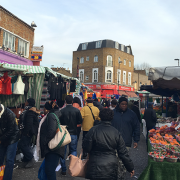 Can Ridley Road Market survive higher rents and Crossrail 2?